Bechtle Architects creates customized design solutions reflective of the unique client, distinct environment and overarching psychology of space. Each residence, business and development follows intentional patterns and basic underlying concepts of living to create interactions between light and dark; space and structure; external and internal; and, most importantly, people, their environment and one another. Rather than simply dividing space with structures, Bechtle Architects listens to your unique vision and translates that personality into distinctive spaces, creating places to live, to work, to play and to flourish. "Great design is not of a singular facet or function. The key is to listen: to our clients, our partners, the environment, the landscape and, most importantly, the space. By incorporating the new with the old, merging childhood inspiration with educated invention, we constantly redefine our style, challenging old standards in efforts toward exceeding our clients’ expectations." 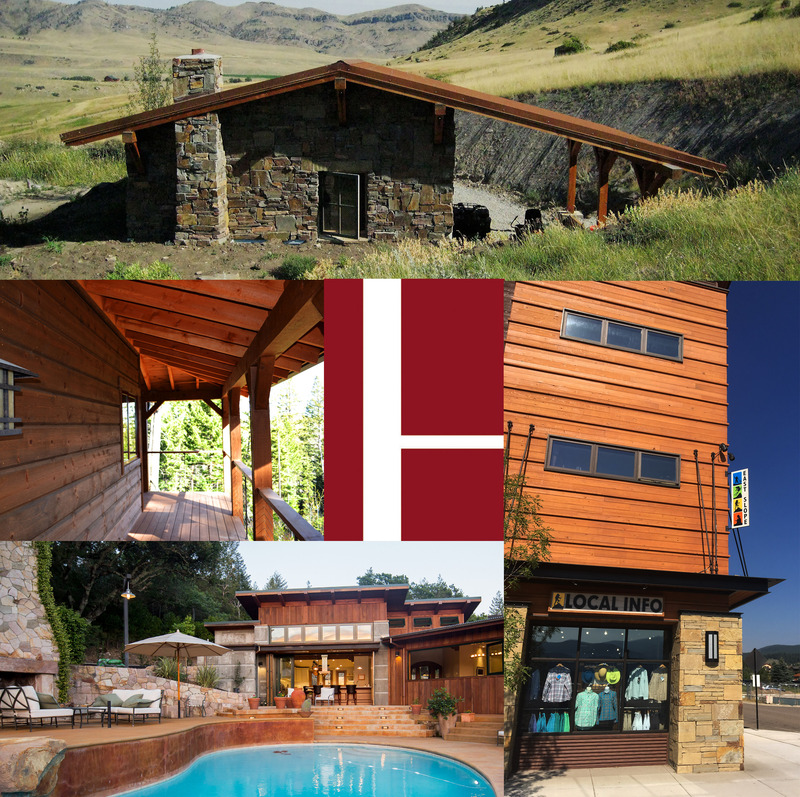 Full customization to each client, structure and space is the singular hallmark of a Bechtle Architects project. A rustic design may be appropriate for one client or windswept hill, while a modern approach might make sense for another. Contrary to popular opinion, architects aren’t in the business of creating buildings; they’re in the business of creating space. While other architects might view their buildings as art, the Bechtle Architects team sees art in the spaces its structures create, spaces that have the capacity to create mood, convey personality, affect human behavior and connect people to each other and the environment. 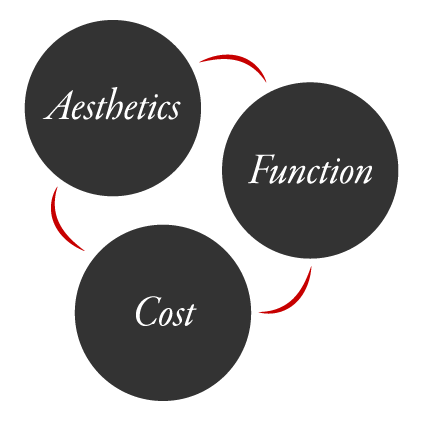 Function, aesthetics and cost are all important for a project to be successful. Consulting with the contractor early in the design process allows for cost considerations to inform every stage of the project. With Bechtle Architects, the owner, contractor and architect – the interpersonal blueprint at the basis of every project – work together as a team, efficiently and effectively realizing the owner’s vision, while minimizing unwelcome financial surprises and constructability problems later on. "At the core... is the idea that people should design for themselves their own houses, streets and communities. This idea... comes simply from the observation that most of the wonderful places of the world were not made by architects but by the people." Collaborative design should take a holistic approach: it’s a conversation about who you are. And, while questions regarding aesthetic preference and functionality are important, so is your connection with a beloved pet, passion for a particular season, your roots and your reasons. These individual nuances color your preferences, even those for which you might lack the language. The Bechtle team helps to define that design vernacular, and bring it to life. Initial team planning meetings define the desired aesthetic, isolate relevant style elements and address functional and financial needs. The resulting design concept then guides every decision to follow, ensuring a cohesive end product and helping you pinpoint and prioritize the sometimes-conflicting ideas that may arise during the design process. It is in this interpretation – the literal translation of concept into construction – that the Bechtle Architects team finds its purpose, making manifest a vision that, as it grows, begins to reflect the times and people of a place. 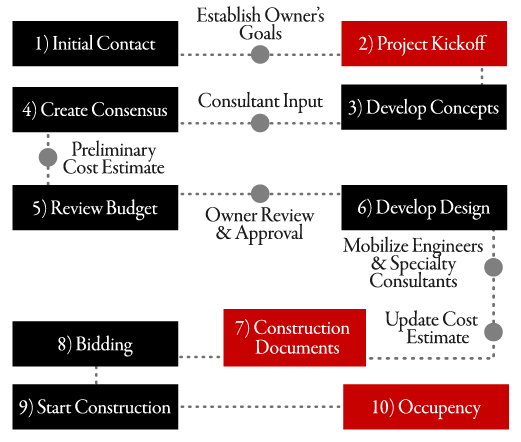 ...the Bechtle Architects team documents client goals and priorities and develops a design roadmap to guide the building process. The roadmap includes regular owner approval checkpoints addressing aesthetics, function and cost, supporting an organic collaborative design process. Frequent communication through meetings, emails, 3D design images, cost estimates and updated schedules further supports proactive design and construction, saving the owner time and money. Bechtle Architects emphasizes a holistic, collaborative approach, customizing its designs to your unique aesthetics, vision and needs. The Bechtle team provides expert leadership and comprehensive support during all phases and facets of the project. Below is a partial listing of services. Please contact us at 406.585.4161 or leave us a message on our contact form. Utilizing a program to three-dimensionally build and modify the design, Bechtle Architects creates an invaluable tangible rendering, facilitating the decision-making process and ensuring that everyone is on the same page. 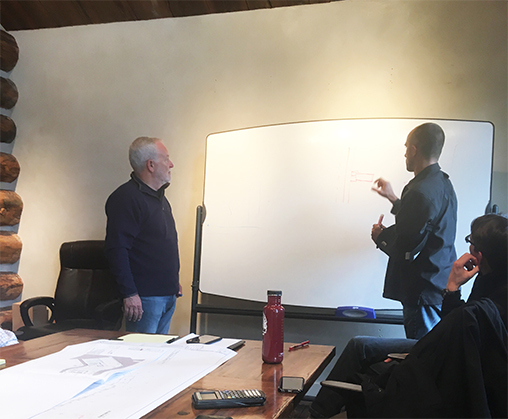 Changes are made in real time during design work sessions, so the owner and contractor can easily visualize the structure with different siding options, finishes, roof styles, windows, etc. The team can virtually walk through the building before it is ever built. 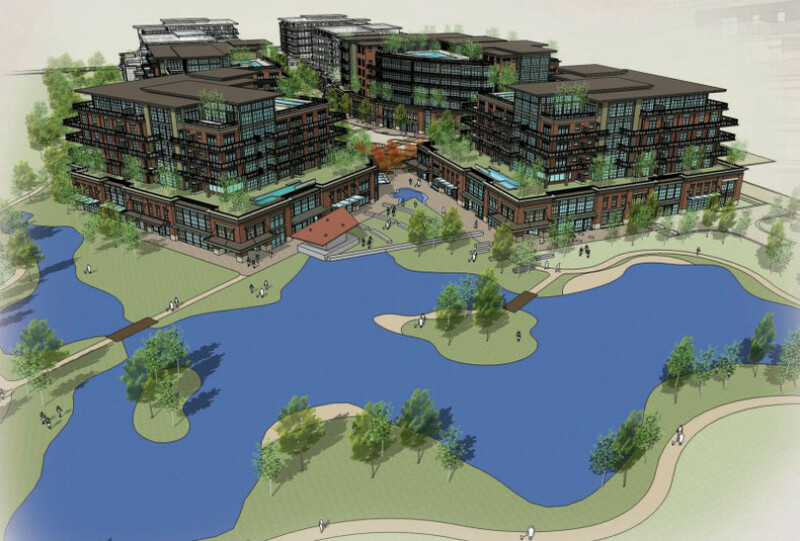 The model doesn’t lie, so there are no surprises or costly changes during construction. 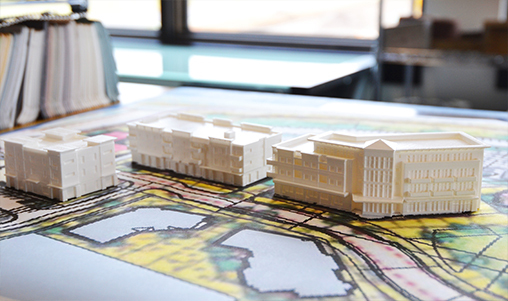 Cutting edge 3D printing technology quickly and affordably creates accurate, detailed models. In the not-so-distant past, architects spent countless hours (and Band-Aids) cutting chipboard with X-Acto knives to create models. With the recent advent of 3D printing technology, Bechtle Architects is now able to print a physical representation of the design with the touch of a few buttons.